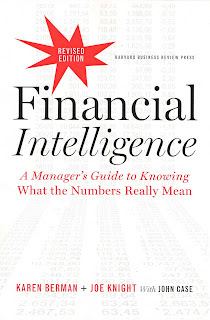 I have now finished reading the book Financial Intelligence (Karen Berman and Joe Knight, 2013, 285 pages). Although I like quite a lot the topics involved, I am not sure if I would recommend someone to read this book. I will try to explain below why. To be fair, the book contains much of what I expected it to deliver: an overview over financials to non-finance folks, like me. The books’ description of the main concepts is great – especially on Income Statement, Balance Sheet, and Cash Flow Statement. It did not hide any details, and sort of brought, to me at least, probably a good understanding of these financial tools, for the first time in my life. And that’s exactly what I expected from the book! However, what I did not like in the book, is what it seems to me lots and lots of lines that did not deliver in any of the above. In many parts, the authors just go on describing lengthily why studying finance is important, and how nice things are in a company where people actually knows finance. 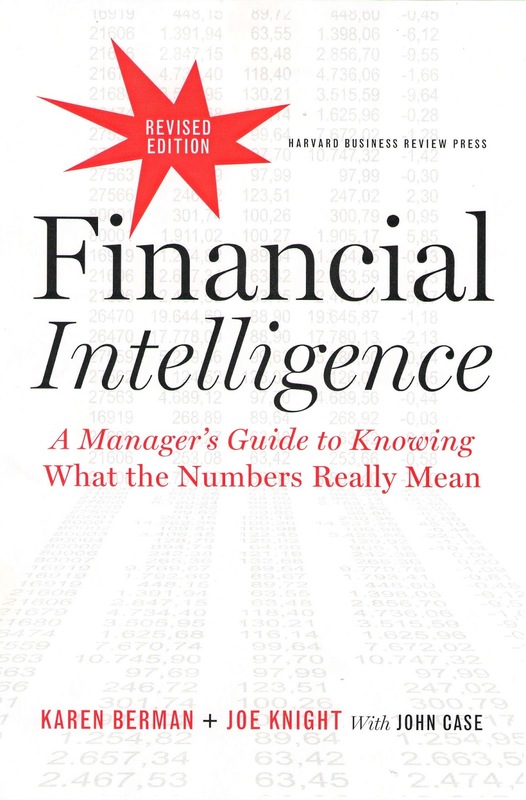 Besides being superficial here (finance is important, but there are many other important things in a successful organization), what bothered me the most is this: if I bought this book and went on reading it, in the first place, I am the last person that needs to be preached about the importance of finance! So, the book was definitely a roller coaster for me – lots of enthusiasm when the focus was on the financial concepts, and strong frustration at parts where it just went on trying to convince me of something I am already convinced. At the end, my feeling is that the book could have had 100 pages less, and I would still have gotten exactly the same out of it – knowledge on financial concepts, their meanings and how finance people go about doing their jobs. And that’s why I’m not sure if I would recommend this to other people, although I certainly enjoyed learning what it had to teach me.